Examples of the term, heavy. 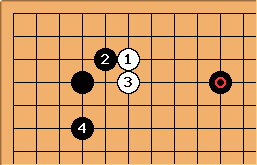 This example is from Go Seigen: 21st Century Go, vol. 1, p. 132. Go Seigen's comment: "The osae of is really heavy." 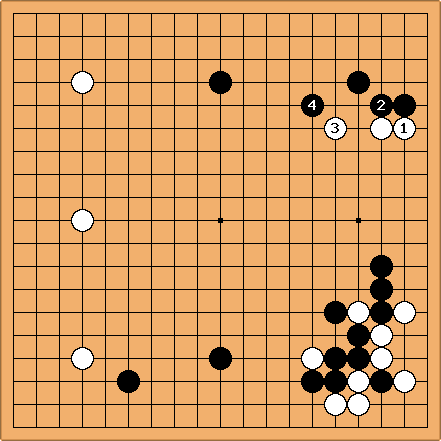 The 4-4 point diagonal attachment joseki is common in handicap games. forces , which makes the white group heavy. If wasn't there, would be a mistake. White would soon play an extension at or near and the group would be strong instead of heavy.